One of an addict’s worst fears is enduring withdrawal symptoms as they are extremely uncomfortable. There are a number of medications that can help manage withdrawal symptoms. Withdrawal symptoms vary with each medication that the individual is addicted to. Let’s take a look at a few of the types of substances that will induce withdrawal symptoms in those who are heavily addicted. When you enter an addiction treatment program, the first phase is generally medical detox. This is where your withdrawal symptoms will be properly managed and monitored with the help of detox drugs and anti-craving drugs. This phase helps to better prepare you for your treatment program. There are a number of withdrawal medications available. The one that is best for you will depend on the type of addiction that you suffer from as well as the length of time that you have been addicted. Disulfiram is typically used to help manage the withdrawal symptoms that are associated with alcohol and cocaine dependency. Some other drugs used for these addictions are Balclofen and Topiramate. For those who are struggling with opiate addiction, Clonidine and Methadone are two of the most frequently used medications to help with withdrawal. Opioids are among the hardest and most difficult drugs to detox from as they are so highly addictive. Methadone is a drug that can be taken even after treatment has ended in order to help the individual remain clean and sober. They come in patches, pills, and can be taken through injection. Withdrawal medication is an effective phase in the recovery process and can help set you up for great success in your sobriety. Many times, detox is a necessary stage in the treatment process if you are an individual who is highly addicted. Not going through detox could be very serious health consequences, both mental and physical, and has the potential to be extremely dangerous. Withdrawal medications work to relieve and mitigate withdrawal symptoms as they mimic the drug that the individual is addicted to. 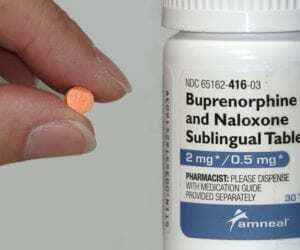 It is administered in a smaller dose in order to safely yet effectively wean the body off the substance of abuse. If you find yourself becoming increasingly dependent on substances of abuse, you may require detox prior to your treatment program.